Vorimir (from the Hislibris historical novel portal. Complete review HERE). Daniel Tío, (IT Engineer, Madrid). “…The book covers the lives of geniuses like Leonardo La Vinci, Isaac Newton or Albert Einstein. In this alternative world, their discoveries are always one or two steps ahead of those they made in our world. It is fun to imagine what these gifted men would have discovered if the world had been just a little luckier… Hypatia and Eternity, the torch of progression”. Juan Pablo “Palimp” (from El Cuchitril Literario portal. Complete review and comments HERE). Juan Julián Merelo “J.J.” (from the Atalaya portal: desde la tela de araña. Complete review and comments HERE). "Ramón Galí begins his story where others end theirs: with the death of the main character. He holds onto the essence of the character, the important part, her spirit. The real elements swiftly fade away, forming the base for a world of fantasy, quasi ethereal, magical, where the main character shows us her essence as it really was: a woman before her time, free of ties, where reason took precedence over senses and thought flowed absolutely freely…”. Mariano Lozano, Seattle, USA (Author of the blog Mi Ciénaga. Complete review HERE). 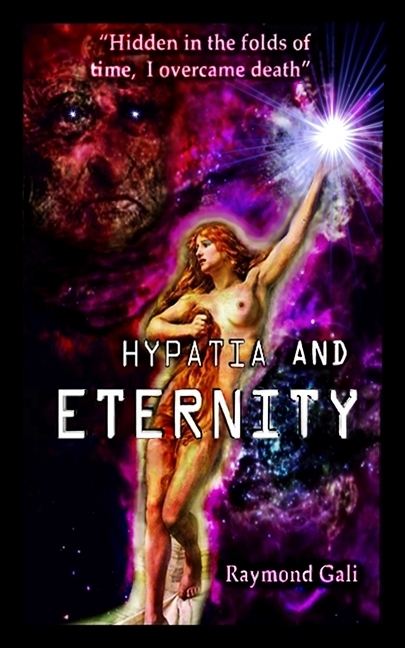 Have you read Hypatia and Eternity and want to send your review?. Post to raymongali@gmail.com . THANK YOU.